I’ve updated the little model for a team’s margin of victory using the complete 2014 regular season data from the NFL and ESPN sites. 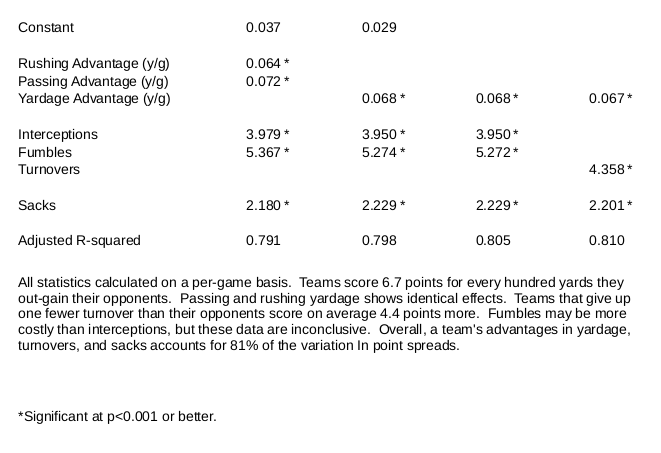 We can use its predictions to see which teams performed better or worse than we would expect based on its net yards per game, turnovers, and sacks. 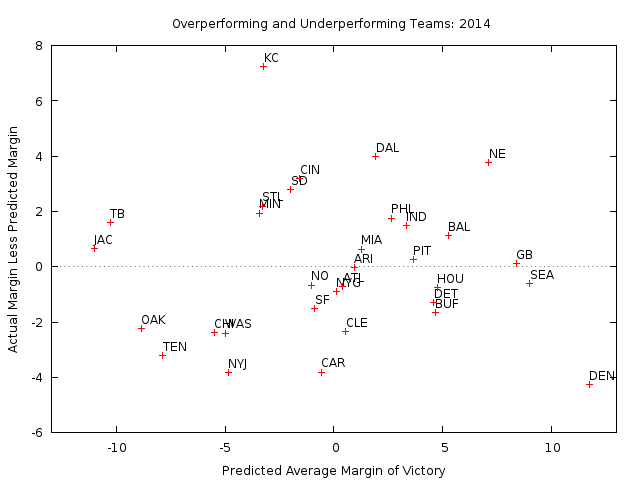 The horizontal axis shows each team’s predicted margin of victory based on the model. Teams playing the Oakland Raiders are predicted to beat them by an average of about eleven points per game. 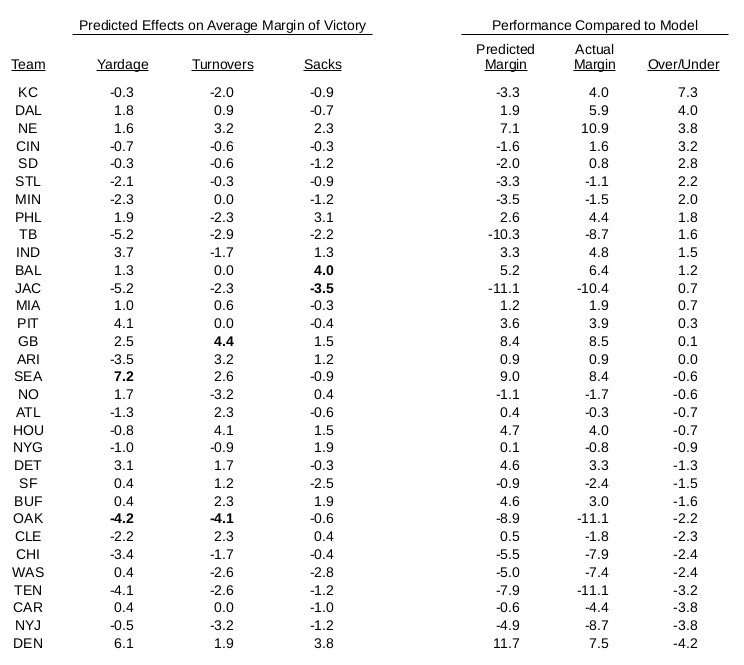 Teams playing the Denver Broncos faced the opposite fate; the model predicts that Denver will outscore its opponents by nearly twelve points. 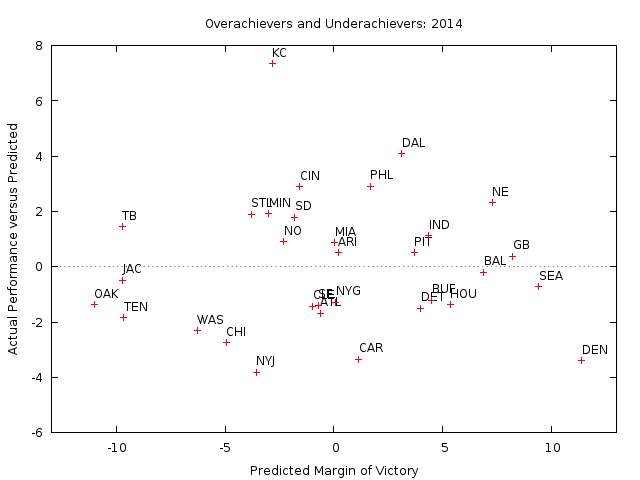 The vertical axis measures the difference between each team’s predicted margin of victory and its actual margin on the field. 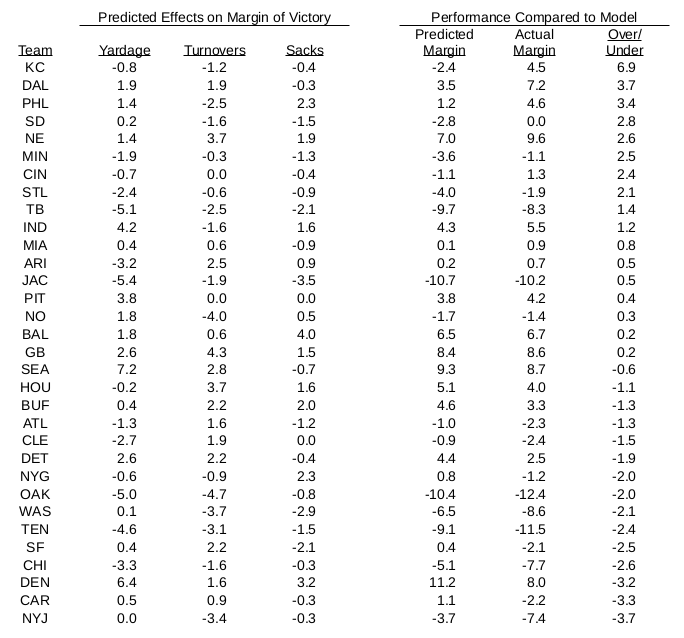 Now the Broncos look like underachievers since they won by nearly four points less than the model predicts. The Carolina Panthers and New York Jets had performances similar to the Broncos. However most stunning overachiever of 2014 will not be appearing in the Playoffs. 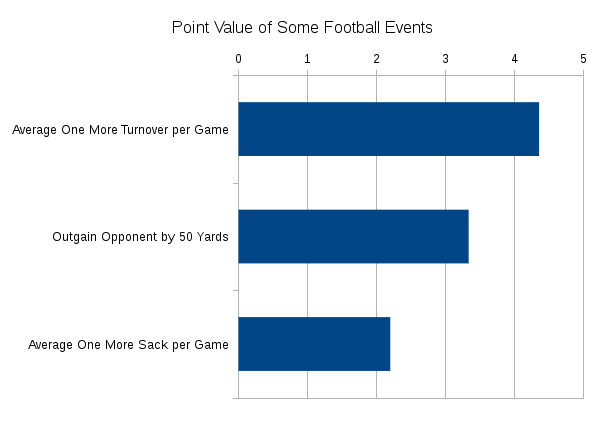 The Kansas City Chiefs averaged a full touchdown more than our model predicts. The next best overachiever, the Dallas Cowboys, comes in a full three points lower than the Chiefs. The model predicts that the Chiefs should have given up about 3.3 points more than they scored; in fact they outscored their opponents by an average margin of 4.0. 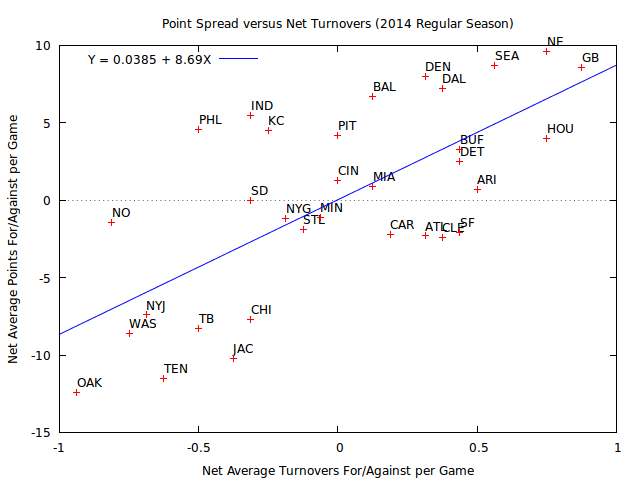 Here is a breakdown of how yardage, turnovers and sacks contributed to each team’s performance in 2014. The right-hand portion of the column compared the predicted and actual performances, the same results summarized in the chart above.